1) Peel and remove the tomatoes skin. 2) In a large saucepan add the tomatoes, sugar, cinnamon stick, and lemon juice, and raise the heat to medium while stirring constantly. 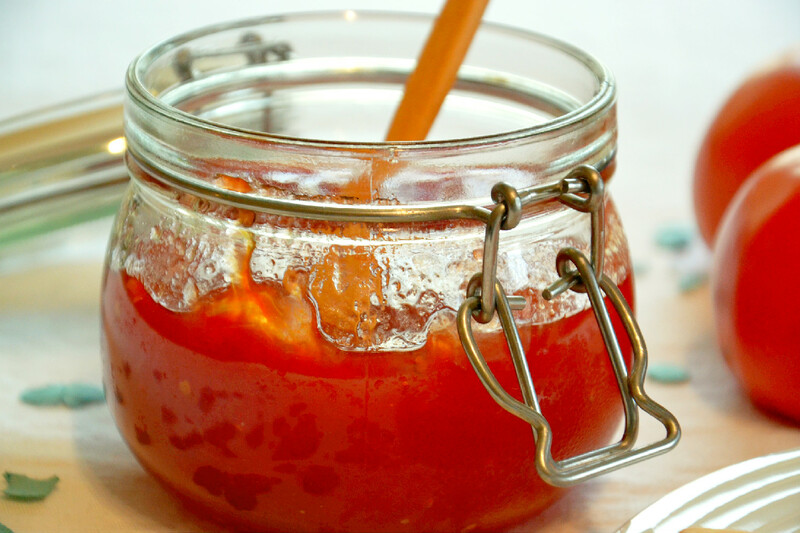 With a wooden spoon mash down on the tomatoes to give a smooth and even consistency to the jam. 3) Once it reaches a boil, reduce the saucepan to low heat, and let it simmer for about 30 minutes, stirring occasionally, until the jam has thickened. You can tell it has properly thickened if you can make a line in the saucepan with the spoon. 4) Once it has cooled down, pour into the jar and close it tightly. Serve whenever, it should remain fresh for up to a month.